You own one of the greats sports cars ever built. 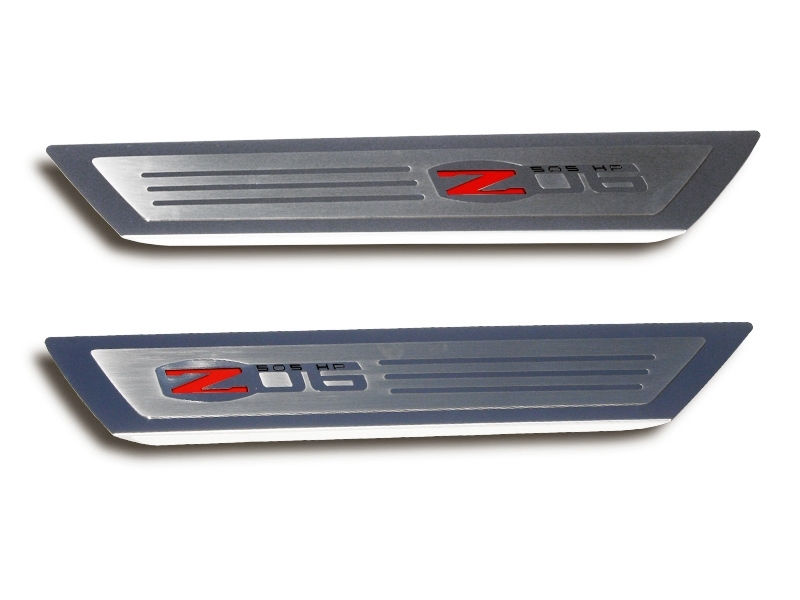 You really don't need to do anything else to your Z06 to make it better, but our executive door sill plates are a very logical and very functional upgrade to any Corvette. These door sill plates attach directly over top of the existing door sill with 3M adhesive tape. Simply peel off the backing and stick into place. Installation is very simple. These door sills are made from the finest T304 stainless steel and feature a high polished finish with brushed trim for a truly custom look!